Shortly after the restoration of independence, in 1992, the Friedrich Ebert Foundation started its activities in the three Baltic States and opened offices in Riga, Tallinn and Vilnius. The core concern was to support the democratic transition processes, to accompany the Baltic States on their way to the European Union and to promote the dialogue between the Baltic States and Germany, and among the countries of this region. The Friedrich Ebert Foundation (FES) has operated in Latvia since 1993. Its office in Riga is also responsible for coordinating FES activities in all three Baltic States: Estonia, Latvia and Lithuania. The Friedrich Ebert Foundation (FES) has been represented in Estonia since 1993, with its office in the country’s capital, Tallinn. The office is led by an academic employee of the foundation, and is coordinated from the regional office for the Baltic States in Riga. The Friedrich Ebert Foundation (FES) has been represented in Lithuania since 1994, with its office in the country’s capital, Vilnius. The office is led by an academic employee of the foundation, and is coordinated from the regional office for the Baltic States in Riga. 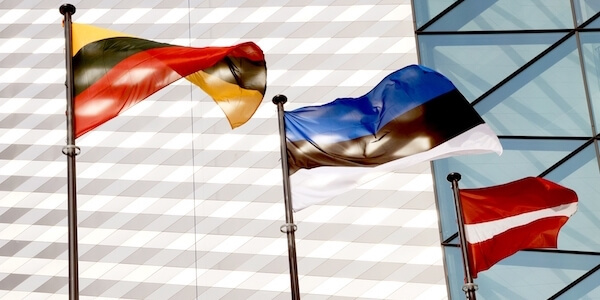 After more than 25 years since the re-establishment of independent Baltic States, Latvia, Lithuania and Estonia have built stable democratic systems. Promotion of the European integration process and a unified European foreign and security policy. Support for just and sustainable development in the economic and social politics of the Baltic States. Discover videos from our designated Youtube-Playlist on the FES Channel.